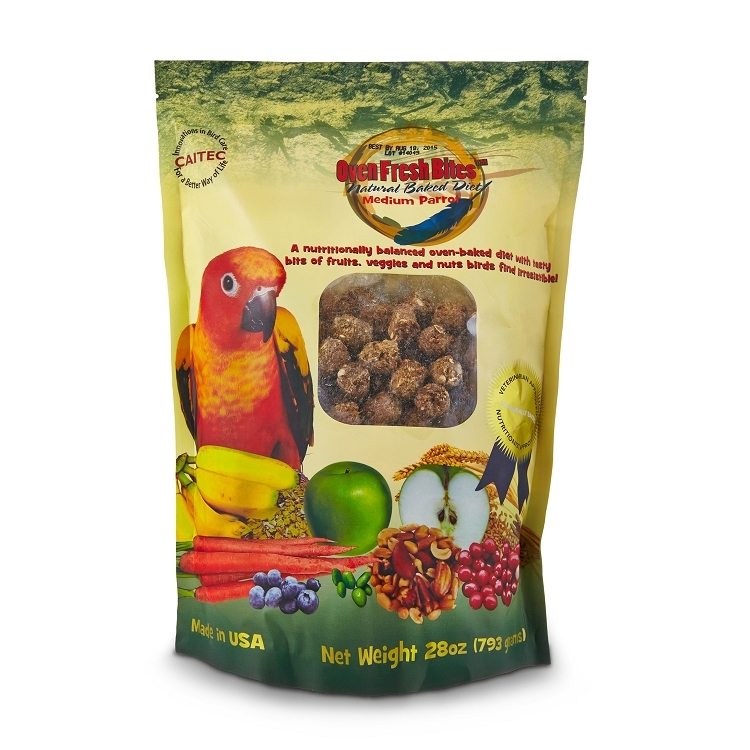 all my birdies love these..sometimes i heat them in the oven so they're warm and they go crazy....all birds should have these...doesnt matter on size of bird.. These pellets are one of the many things I use in the standard rotation with my mainstay, Harrison pelelts. The Oven Fresh bites make all 4 of my birds - an Umbrella, a Half-Moon Conure, an Amazon, and a Quaker - all excited. I have to admit that the smell is so dang exciting and fresh that even I have tasted them, and thought they were pretty fantastic: they are truly that good! 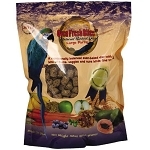 My Conure enjoys this dry food after he eats some of his warm corn-soaked bean mix (Volkman Fancy Soak & Simmer). I break the pellets up a little bit with the edge of a clean cup hanger.